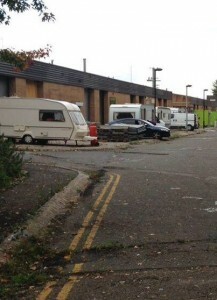 Camden Council’s farcical handling of the development of West Hampstead’s Liddell Road has taken another turn for the worse, as squatters yesterday took over the industrial estate. 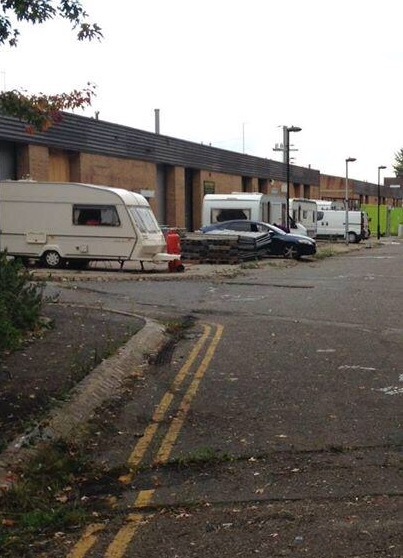 Residents have already complained about the noise coming from the site and the damage done to parked cars by caravans being driven recklessly down Maygrove Road. I went down there first thing this morning with local Conservative campaigners Andrew Parkinson and Ian Cohen to see the site for ourselves. 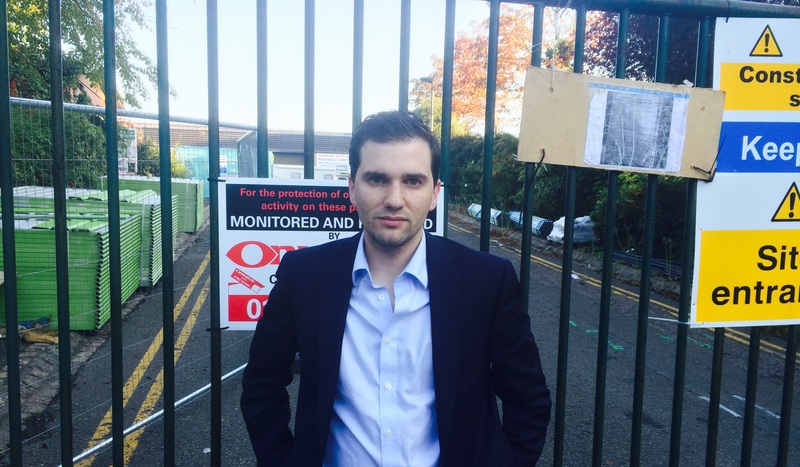 The industrial estate, once home to several small businesses and 200 jobs, has been vacant since Camden Labour forced through plans to redevelop it. Squatting on the site is not a criminal offence, as it is not residential property and does not therefore fall under “Weatherley’s Law”: a provision rightly introduced in 2012 by the Conservatives at the behest of my friend Mike Weatherley to protect residential properties from squatting. Fortunately, Andrew is a practising planning barrister, and helpfully detailed the actions Camden have to take to evict the squatters. Andrew, Ian, and I are eager to help in any way that we can to expedite the process. But Camden Council also needs to make sure it doesn’t happen again. The Council and its contractors have been negligent in allowing the site to be occupied: harming residents, delaying development, and incurring unnecessary legal expenses. The development at Liddell Road is already destroying local jobs and erecting a tower that contains just 4% affordable housing. This is the latest in Camden’s calamitous handling of a disastrous development that nobody in the area wanted.